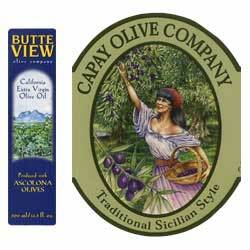 Art for Capay Olive Company label. Designed by MC2 Design Group. This page and its contents copyright ©2003 Steve Ferchaud.